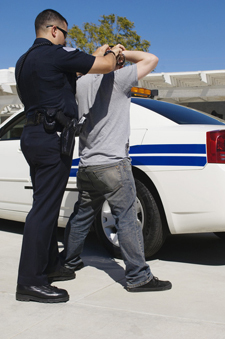 Arrow Bail Bonds has one mission, to provide you with fast, friendly and professional bail bond service in Southern California or anywhere your loved one has been detained. When we get a call from someone that has never had to use a bail bond before one of the first questions they tend to ask is "How do bail bonds work?" We intend to answer this questions 100 percent, and any others you have before you commit to any payments for bail bond service. If you've received a call from a loved one informing you of their current predicament be sure your next call is to Arrow Bail Bonds so we can get them released fast. Our team is at your service when it comes to bail bonds in Rancho Cucamonga or anywhere in Southern California thanks to our large network of bail bond agents. Before we talk about how bail bonds work it is important to understand what bail itself is and what it means. When bail is granted it means that a guarantee has been issued stating that the defendant being released from jail will appear at all of their upcoming court dates. In order for bail to be issued a certain dollar amount must be paid. Many people are under the impression that bail is extremely expensive, tens of thousands, if not hundreds of thousands of dollars, because of the way that bail is portrayed in the media. The amount being referred to is the full bail amount and without a bond this must be paid for a defendant to be released. This dollar figure is set by a judge and is based on the crime, previous arrest records and other factors. Fortunately the US court system accepts bail bonds, which must be issued by a professional bail bond agency such as Arrow Bail Bonds. For a bail bond to be issued a person must co-sign a contract between the bail company and the court system stating that if a defendant was to miss a day in court that the bail company would be responsible for the full bail bond amount. The co-signer, often referred to as the indemnitor, must also pay an initial fee, usually about 10 percent of the full bail amount. What is important to note is that if the defendant does miss a day in court you, as the indemnitor, are responsible for paying the full bail amount to the bail agent so that they can then pay the courts. If the defendant is still missing an arrest warrant will be issued for their return. The bail bond process in Southern California is not too complex, but there are a lot of parts to it. We encourage you to call the agents at Arrow Bail Bonds in order to have any questions answered regarding bail bonds in Southern California or anywhere else for that matter! We'll be happy to provide you with fast, honest answers. 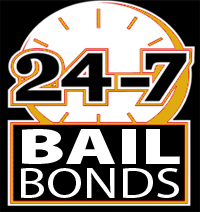 Give us a call at (909) 891-0578 to request more information about bail bonds in Southern California.